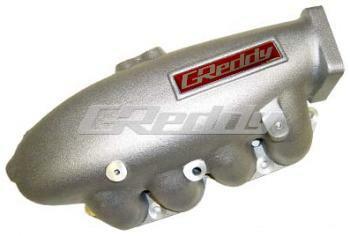 GReddy Intake Plenums are designed to maximize performance in highly tuned engines. The fine cast-aluminum intake manifolds allow for large volumes of air to get evenly distributed to the cylinders. To achieve the most from larger turbochargers at higher boost levels, a smooth flowing GReddy Intake manifold is a must.